Why would I need self storage in Richmond, VA? There are a variety of reasons why you might need self-storage in Richmond, VA.
How much is a storage unit in Richmond, VA? The cheapest storage unit in Richmond, VA is $40.00 per month. What size storage units do you have available in Richmond, VA? In Richmond, VA we have sizes that range from 5'x4' to 20'x30' to suit your storage needs. How much is it for a 5'x4' storage unit in Richmond, VA? The cheapest 5'x4' storage unit in Richmond, VA is $41.00 per month. With a long, eventful history, Richmond has long been an important U.S. city. Today, it's Virginia's state capital and has earned the distinction of being named one of American's most livable mid-size cities. Thanks to its strong economy and well-educated population, Richmond has attracted a number of large corporations that provide many jobs in the city. Add to this its active arts and culture scene, extensive amenities and friendly sense of community and you can see why Richmond has become a popular relocation destination. Before colonists arrived in the present-day Richmond area, it was a very important place for the Native American Powhatan Confederacy. In 1607, British Captain James Smith led an expedition to the James River, and settlers from nearby Jamestown briefly lived in the area shortly thereafter. However, it wasn't until 1644 that formal European settlement began in Richmond with the establishment of Fort Charles. The colonists developed a working relationship with the native Powhatan inhabitants, trading their goods for animal pelts and tobacco. For the next several decades, Richmond would serve as the setting for many iconic historic events, including Patrick Henry's iconic "Give me liberty or give me death" speech in 1775. It was the site of the passage of the Virginia Statute for Religious Freedom and was a capital of the Confederacy during the Civil War. With the arrival of the 20th century, Richmond established itself as one of the first cities in the nation with a working electric streetcar system. It was the most densely-populated city in the Southern U.S., and continued to grow and evolve into the city it is today, with a strong economy, diverse population and active arts and culture scene. Several Fortune 500 companies, including Dominion Resources, Genworth Financial, Performance Food Group, LandAmerica Financial and CarMax, are based in Richmond. Many businesses choose Richmond for its easy access to Washington, D.C., as well as its strong economy and educated population. The city retains many of the graduates who attend the University of Richmond, providing a ready-to-work supply of educated employees. The city's unemployment rate is below the national average, and projected job growth is among the strongest in the state. If you're going to be looking for a job in Richmond, your prospects are bright. Richmond's key industries include advanced manufacturing, finance, insurance, real estate, green technology, and health and life sciences. Church Hill was the first historic district in Richmond, and the site of one of the most well-known speeches in American history. It was here, at St. John's Church, that Patrick Henry delivered his "Give me liberty or give me death" speech. The Battery Park neighborhood dates back to the late 1800s, and many homes from that early era still stand today. Battery Park provides a variety of sport courts, swimming pools and playgrounds for families to enjoy. 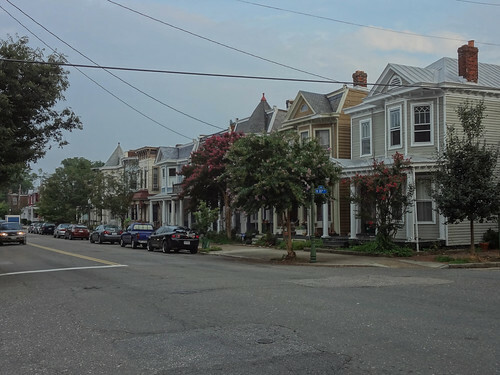 This Richmond neighborhoods holds the record for the most intact examples of Victorian architecture, stretching over about 85 blocks. It earned its name for its unique design, which has the neighborhood blocks laid out in a fan shape. Jackson Ward, an important part of African-American culture, was nicknamed "the Wall Street of Black America" during the early 1900s because it was home to a thriving African-American business community. The homes are distinctly Southern-style, with easily recognizable cast-iron front porches and red-brick facades. Richmond Public Schools manages the city's public schools, which include elementary, middle and high schools, as well as charter schools. The district also operates the Special Program for Academic and Creative Excellence, and advanced placement and dual-enrollment courses for gifted and talented students. If you'd prefer to enroll your child in a private institution, you have plenty to choose from: Richmond is home to over 30 private schools, both faith-based and secular. If you're hoping to work toward a college degree in Richmond, you have a range of options. Public and private universities, small for-profit college and city community colleges can all be found in the city and the surrounding area. Utilities: Dominion Energy is the city's energy provider, while the city's public utilities division manages water and sewer services. Garbage and Recycling: The city offers convenient curbside collection of trash and recyclables for most neighborhoods. 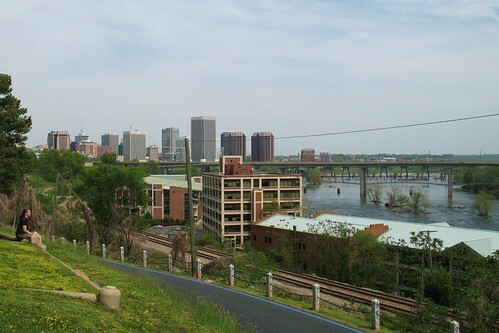 Transportation: Richmond is a major hub of transportation, connected to other major cities via Greyhound and Amtrak routes. To get around the city, you can use the public bus routes that cover most of it. Home values in Richmond are on the rise, but they currently are fairly even with the national average. You'll find a variety of housing options, ranging from trendy loft apartments to historic single-family homes. Each of the neighborhoods of Richmond has its own distinct identity, so try to take the time to explore different areas before choosing one. Our lowest priced units in Richmond, VA average $52.30 per month. 435 people have reserved units in Richmond, VA in the past 30 days. There are 10 locations within Richmond, VA's city limits. There are 5 locations in Richmond, VA that offer AC and Heating features.